The Delhi Police on Saturday announced a reward for providing information about the man who allegedly masturbated sitting next to a girl inside a bus. 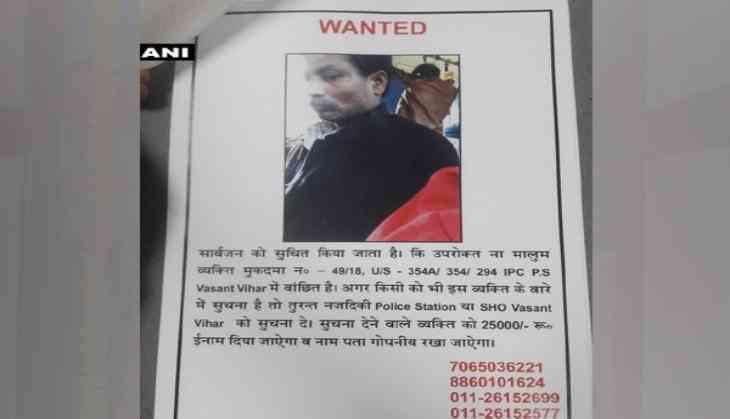 The Delhi police have announced a reward of Rs 25,000 for anyone who provides information about the man. The identity of the informant will be kept anonymous, the notice by the police added. On February 12, a student of Delhi University (DU) had lodged a complaint against a middle-aged man for allegedly masturbating beside her in a moving bus and trying to repeatedly touch her waist. An FIR was lodged with Vasant Vihar Police under sections 354 (sexual harassment), 354A, and 294 (obscene act in public place) of the Indian Penal Code (IPC). As per the FIR, the incident occurred on February 7 in the route between Vasant Village and IIT Gate. The complainant shouted at the accused, but "he did not understand" and the co-passengers also "ignored it", the FIR further read. She also uploaded a video of the incident on social media.